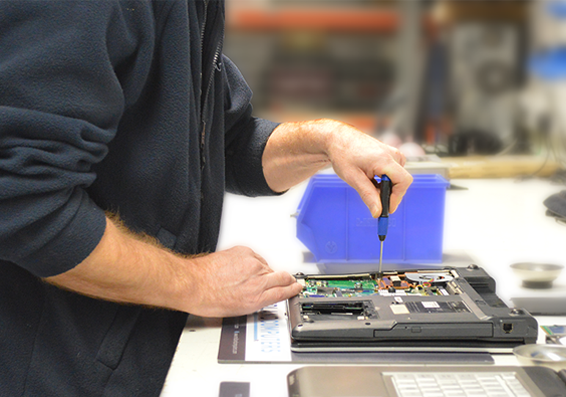 We offer various repair and servicing options for your desktop PC or notebook. All work is carried out by our Microsoft certified engineers, providing a turnaround within three days. If you're unsure of the issue with your PC we offer an investigation service for £25, after which we’ll advise you of the work and/or parts required and whether the repair is viable for the machine’s age. The cost of the investigation will be waived if you take up the repair. We can often extend the life of older hardware. If your PC works but is ‘getting on a bit’, or you’re considering upgrading it but aren’t sure where to start, we’ll be pleased to give you advice on cost effective improvements. Initial investigation to determine the fault of the device. Determine if it is financially viable to carry out a repair. Free of charge if repair option is taken up. We also offer Data Retrieval & Data Recovery from non working devices, contact us for pricing information. Bring your notebook in store to get a FREE quotation to replace your broken screen.